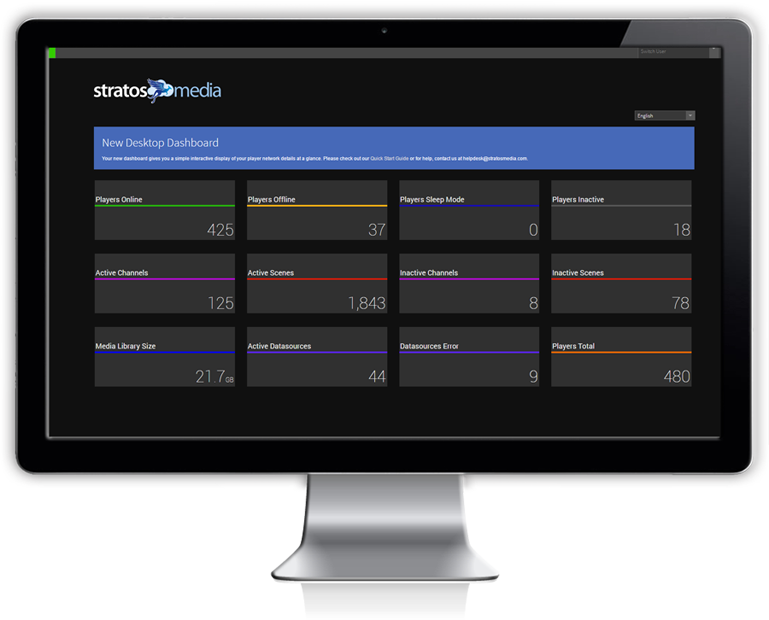 StratosMedia offers a complete, centrally controlled solution for all digital content delivery needs. For Digital Signage & devices. StratosMedia software makes the complex simple, delivering content to multiple devices and platforms effectively and efficiently. With StratosMedia, a watch, car, phone, screen, computer and beacon are all natural communication points that are treated as one. Think of StratosMedia as an extraordinarily fast, scalable and secure hybrid cloud platform that encompasses multiple inter-linked solutions, completely in tune with how businesses communicate with people and devices in absolute real-time. Big Data, Business Information, Real-time Bi-directional Data, Business Analytics, Data Visualization. Centralized Content Delivery Platform, Content Management Suite, Device Management. Audience Tracking and Counting, Age & Gender Analytics, Smartphone & RF Analytics. IoT Device management & communication. Communicate with people and devices in absolute real-time. Homepage – Working Alongside Leading Brands. We work and collaborate with some of the world's largest tech, retail and corporate brands. Find out how you can easily take control of your content delivery management. Simply fill out your details below and one of our techs will get in touch.